Look smarter than ever by teaming this Navy Blue T-shirt by Creo with a pair of ripped or washed jeans. 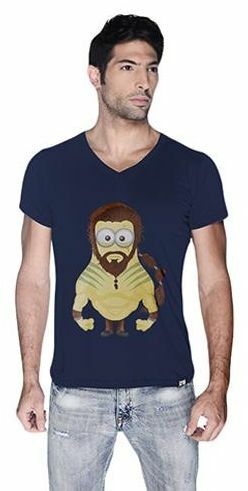 Designed for Men, it is adorned with a Khal Drogo Minions character print. Its soft fabric provides you with a comfortable fit.